It's time for them to take their shot! 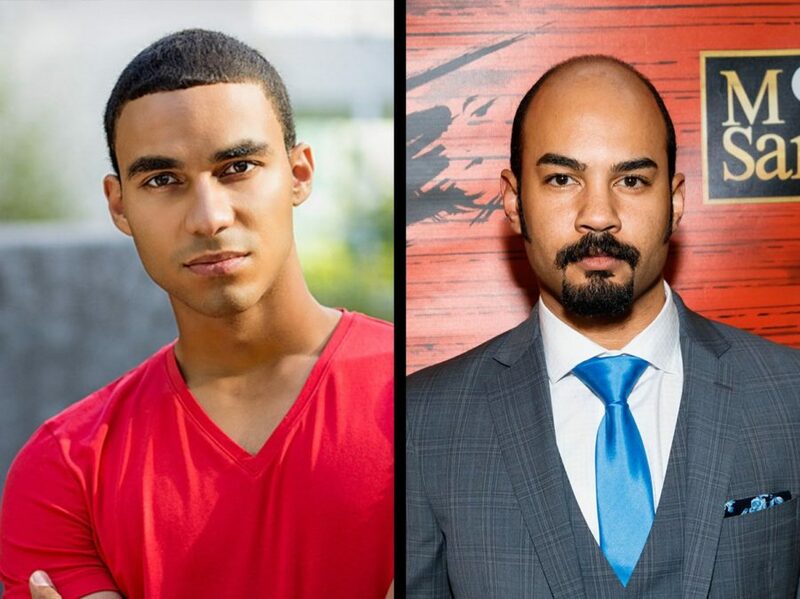 Austin Scott and Nicholas Christopher will headline the touring production of Lin-Manuel Miranda's Tony-winning musical Hamilton. The duo will take on the roles of Alexander Hamilton and Aaron Burr, respectively. The first national tour of Hamilton begins performances at San Diego's Civic Theatre on January 6, before continuing on to cities all across the country. Other principal roles in Hamilton will be played by Julia K. Harriman as Eliza Hamilton, Sabrina Sloan as Angelica Schuyler and Chris De'Sean Lee as Marquis de Lafayette/Thomas Jefferson. They join Rubén J. Carbajal as John Laurens/Phillip Schuyler, Amber Iman as Peggy Schuyler/Maria Reynolds, Isaiah Johnson as George Washington, Rory O'Malley as King George and Mathenee Treco as Hercules Mulligan/James Madison. The first national tour cast also includes Ryan Alvarado, Amber Ardolino, Raymond Baynard, Jeffrey Duffy, Hope Endrenyi, Jennifer Geller, Jacob Guzman, Jennie Harney, Afra Hines, Sabrina Imamura, Lauren Kias, Alex Larson, Dorcas Leung, Yvette Lu, Desmond Newson, Desmond Nunn, Antuan Magic Raimone, Josh Andrés Rivera, Willie Smith III, Raven Thomas, Ryan Vasquez, Keenan D. Washington and Andrew Wojtal. This company continues the run of Hamilton productions that have rolled out since the musical first opened on Broadway in 2015. A Chicago company opened in September 2016, the West End engagement began in December 2017 at London’s Victoria Palace Theatre and the second national tour will begin performances in Seattle on February 6. Hamilton is the story of America's Founding Father Alexander Hamilton, an immigrant from the West Indies who became George Washington's right-hand man during the Revolutionary War and was the new nation's first Treasury Secretary. Featuring a score that blends hip-hop, jazz, blues, rap, R&B and Broadway, Hamilton is the story of America then, as told by America now. Directed by Thomas Kail and featuring a book, music and lyrics by Miranda, Hamilton is inspired by the book Alexander Hamilton by Ron Chernow and is running at Broadway's Richard Rodgers Theatre. To find out when Hamilton is headed to your city, click here.